WeChat now has two new features! Time Capsule, which is its own version of instagram, and Wow (好看)-an alternative of Like. Let's have a look at the details and how they affect your social media strategy for China! Tencent added 2 new features to WeChat, which are some of the most significant updates over the past 6 years. The updated WeChat now has its own version of Instagram Stories—Time Capsule. Another innovative feature is Wow (好看), which displays content on users’ Top Stories feed according to friends’ recommendations. With this in mind, you may need to adjust your social marketing strategy for China to adapt to changes in user behaviour. What is WeChat Time Capsule? If you use Instagram Stories, you will recognize this function. After Facebook launching its Stories, WeChat has also caught up with the trend, and released their own version of Stories. Same as other Western social media platform, users can post a 15-second long video on Time Capsule which disappears after 24 hours. Apart from the usual text, emojis, selfie stickers, WeChat also recommends 10 music according to your video content. Your friends can see your Time Capsule by clicking in the icon right beside your profile picture. They can also click the left-corner bubble to Like or Comment on your Stories. How do you implement Time Capsule in your marketing strategy? You can activate a personal account acting as customer service or information sharing platform for your brand. In such a way, you can maintain a closer relationship with your followers and clients. Time Capsules do not show up at the top of followers’ feed, but instead in Moments and in chats. So through creating a group chat with your followers and sharing content related to your brand, followers in the group are able to see the Time Capsule icon alongside the group name. As a result, there is a higher possibility that they watch and interact with your content. The short-video format on Time Capsule is a great way to provide engaging content to communicate your products and services. In the new update, WeChat has replaced its “Like” button to “Wow (好看)” for posts published by Official Accounts. When your followers liked an article, it will appear on their Top Stories section. Their friends can also see the articles your followers liked and read them. In addition, they can also leave comments on the articles, which are shown to their friends as well. How to make use of Wow? The “Wow” feature increases the reach and exposure of your content. The more followers clicked Wow, the more non-followers (aka your followers’ friends) will see your articles. Encourage your followers to comment on your article as it stimulates discussions , and in turn boosts engagement. People are likely to engage when the the content receives a lot of responses. Read the full article on The egg. 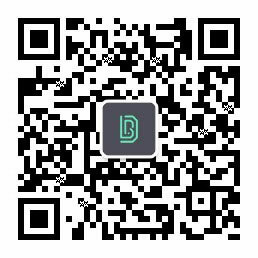 If you want to know more about WeChat marketing, contact us! © 2018 Digital Business Lab | All Rights Reserved.